Types of Lever Harp Strings — Rees Harps Inc.
A description of they types of harp strings and the differences between them. Lever harps are often also called Irish harps or Celtic harps. We are also the makers of Harpsicle® Harps. Rees has been building harps since 1972. Our harps are hand crafted in Rising Sun, Indiana, United States. In looking at and listening to harps, it will quickly become clear to you that not all harp strings are the same. This is a brief description of the primary types of harp strings and where they are used. Within each type of string, there are a parameters, including vibrating length and diameter, which work together with the basic material to create the mass (think of it as structural weight) needed to produce a specific tone, voice and note. The strings we use in Rees harps are in the top group on this page. Other types of strings are further down. A core of nylon monofilament string with a second monofilament nylon layer wound tight around it all the way up the entire vibrating length of the string. Again, these are commonly found on many types of lever harps. 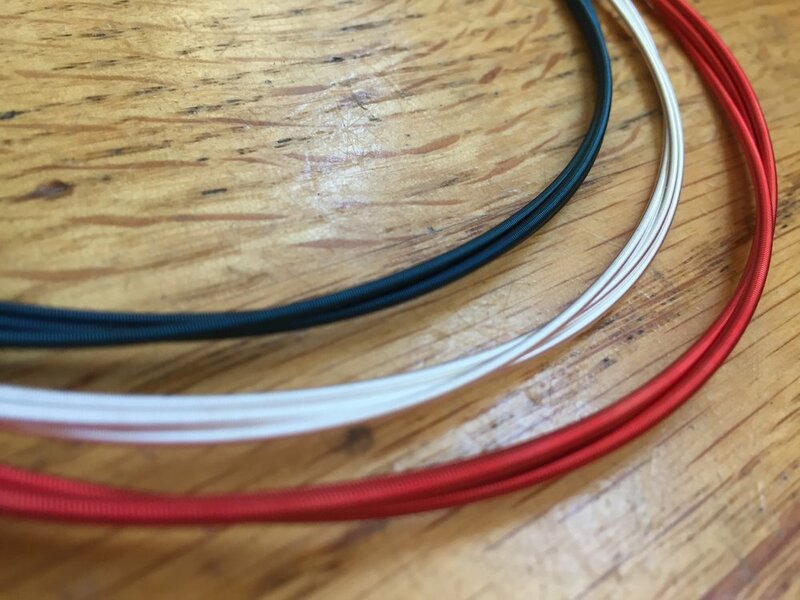 Nylon/Nylon wrapped strings also have a warm, clear voice and are a bit more impacted by humidity than monofilament. Nylon/nylon wrapped strings need to be changed if the wraps begin to wear heavily at the top of the string (causing the wrap to lose) or, if a harp is played frequently about every two years. 1. You will immediately notice that some strings are different colors on most types of harps. On lever harps, C is always red and F is always a dark color, usually dark blue. Colored strings are a tradition which goes back, literally, thousands of years on harps. 3. If you do not know what strings belong on your harp, you need an expert. Call Robinson’s Harp Shop in Mount Laguna, California at 619/473-8212. If you have a Rees Concert Line Harp you can find all of your strings for all of our models, past and present, in our Rees Marketplace. Historically, gut strings were the major type of string for all harps but they have been supplanted on most lever harps. Today when they are used on lever harps, they are generally found on pre-pedal lever harps. This is because gut strings are a significant portion of the string set of nearly all pedal harps. Gut strings have a very warm sound often described as “thumpy.” They are relatively expensive and are exceedingly vulnerable to changes in humidity which increases the need to frequently tune the harp. Because gut strings absorb both humidity and the oils from hands, they must be changed on a regular basis though how often varies widely. We do not use gut strings on any Rees harps and adding then onto a Rees harp will void the warranty along with detracting from the voice. 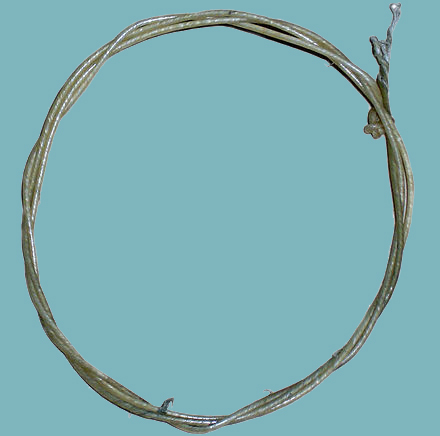 Single strand wire strings are used on wire-strung harps. Interestingly, the wire can be of many types of metal including silver and gold. The different molecular structures of the metals yield different voices in the harps. Since we do not build wire-strung harps at Rees, we do not use these strings but we love to hear them played! These are the newest type of string and are made of a polymer that is extremely stable in that it is not effected by humidity. These strings tend to be very light weight and breakage is more common than in nylon strings. They do voice distinctively and are an advantage on some lever harps. Rees harps are not designed for fluorocarbon strings and the voice of the harp will be diminished if fluorocarbon strings are added. As a general note, flurocarbon strings are quite expensive.